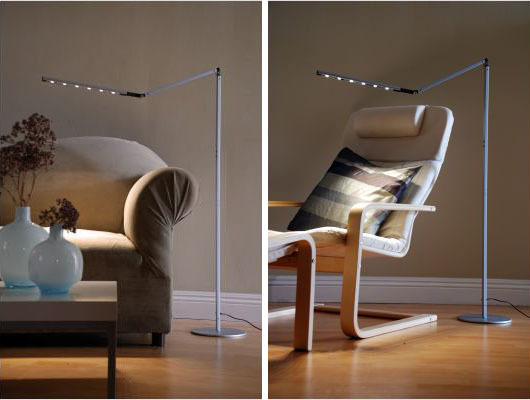 Floor Reading Lamps are perfect for reading while sitting on the sofas or armchairs. They range from the more traditional adjustable floor lamps to modern energy-efficient LED reading lights. LED Floor Lamps with Z-Bar design are the next-generation reading lamps, the heights are adjustable and the arms are foldable. Some of the most popular floor lamps are very versatile. They feature adjustable side reading lamps as well as torchiere to brighten the room. Check out some of our recommended stylish floor lamps for reading.